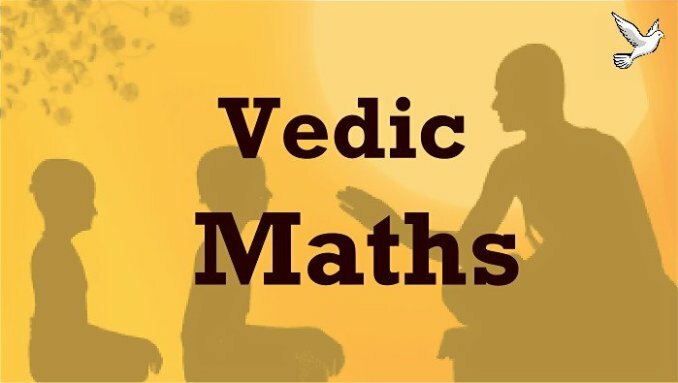 Vedic Mathematics or Hindu Mathematics refers to the mathematics that emerged in the Indian subcontinent, from ancient Vedic times until the period of Mathematical genius Ramanujam and HH Jagadguru Swami Bharati Krishna Tirth in the 20th century. Many scholars feel that Indian contributions to science, technology, and mathematics have not been given due acknowledgment in modern history and that many discoveries and inventions by Indian mathematicians were known to their Western counterparts, copied by them, and presented as their own original work; and further, that this mass plagiarism has gone unrecognized due to Eurocentrism. The Hindu word for zero was shunya, meaning empty, or void; this word, translated and transliterated by the Arabs as a cipher, is the root of the English words cipher and Zero. The concept of irrational numbers was implicitly accepted by Indian mathematicians since the 7th century BC when Manava (c. 750–690 BC) believed that the square roots of certain numbers such as 2 and 61 could not be exactly determined. Hippasus an ancient Greek Mathematician of 5th century BC was drowned at sea for working with irrational numbers. For a long time until the 17th century, negative solutions to problems were considered "false or absurd” in the West. The use of negative numbers was known in early India, and their role in situations like mathematical problems of debt was understood. Consistent and correct rules for working with these numbers were formulated. The diffusion of this concept led the Arab intermediaries to pass it to Europe. The ancient Indian Bakhshali Manuscript, which Pearce Ian claimed was written sometime between 200 B.C. and A.D. 300, carried out calculations with negative numbers, using "+" as a negative sign. In Ancient India, the knowledge of theoretical and applied aspects of the square and square root was at least as old as the Sulba Sutras, dated around 800-500 B.C. (possibly much earlier). 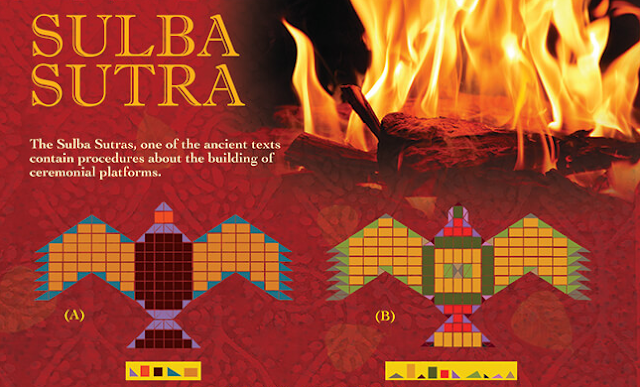 A method for finding very good approximations to the square roots of 2 and 3 are given in the Baudhayana Sulba Sutra. Aryabhata in the Aryabhatiya (section 2.4), has given a method for finding the square root of numbers having many digits. According to the historian of mathematics D.E. Smith, Aryabhata's method for finding the square root was first introduced in Europe by Cataneo in 1546. Hindu Mathematicians were the first to systematically investigate methods for the determination of integral solutions of Diophantine equations. Aryabhata (499) gave the first explicit description of the general integral solution of the linear Diophantine equation ay + bx = c, which occurs in his text Aryabhatiya. He also found the general solution to the indeterminate linear equation using this method. Brahmagupta in 628 used the chakravala method to solve more difficult quadratic Diophantine equations, including forms of Pell's equation, such as 61x2 + 1 = y2. His Brahma Sphuta Siddhanta was translated into Arabic in 773 and was subsequently translated into Latin in 1126. In Europe, the equation 61x2 + 1 = y2 was solved in 1727 by Leonhard Euler, while the general solution to Pell's equation was found much later by Joseph Louis Lagrange in 1767. Meanwhile, many centuries ago, the general solution to Pell's equation was recorded by Bhaskara II in 1150, using a modified version of Brahmagupta's chakravala method. Bhaskara's chakravala method for finding the general solution to Pell's equation was much simpler than the method used by Lagrange over 600 years later. Bhaskara also found solutions to other indeterminate quadratic, cubic, quartic, and higher-order polynomial equations. Narayana Pandit further improved on the chakravala method and found more general solutions to other indeterminate quadratic and higher-order polynomial equations. 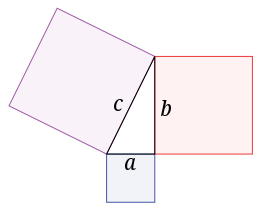 Pythagorean theorem The sum of the areas of the two squares on the legs (a and b) equals the area of the square on the hypotenuse (c). Since 1963 in computer science, Backus–Naur Form (BNF) is widely used as a notation for the grammars of computer programming languages, instruction sets, and communication protocols, as well as a notation for representing parts of natural language grammars. The Backus–Naur Form or BNF grammars have significant similarities to Panini's grammar rules (500 BC), and the notation is sometimes also referred to as Panini–Backus Form. Many textbooks for programming language theory and/or semantics document the programming language in Panini-Backus Form.